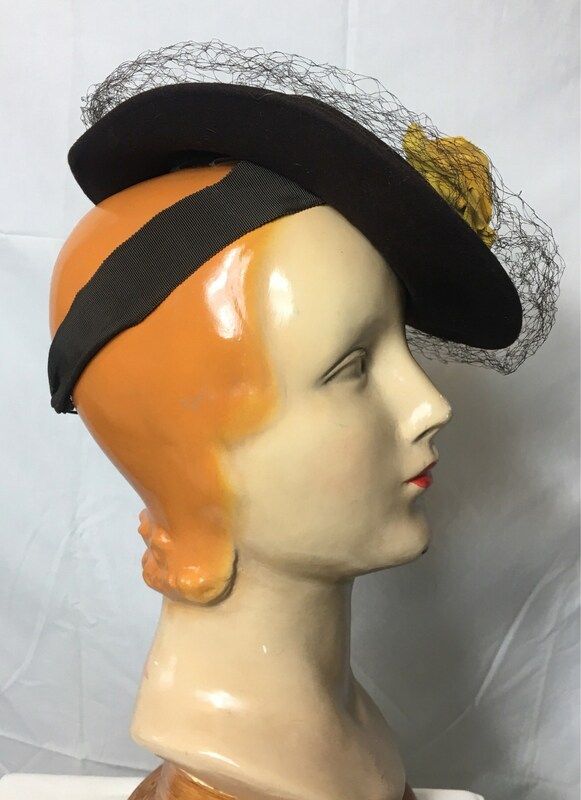 making Hats in the 1990s. 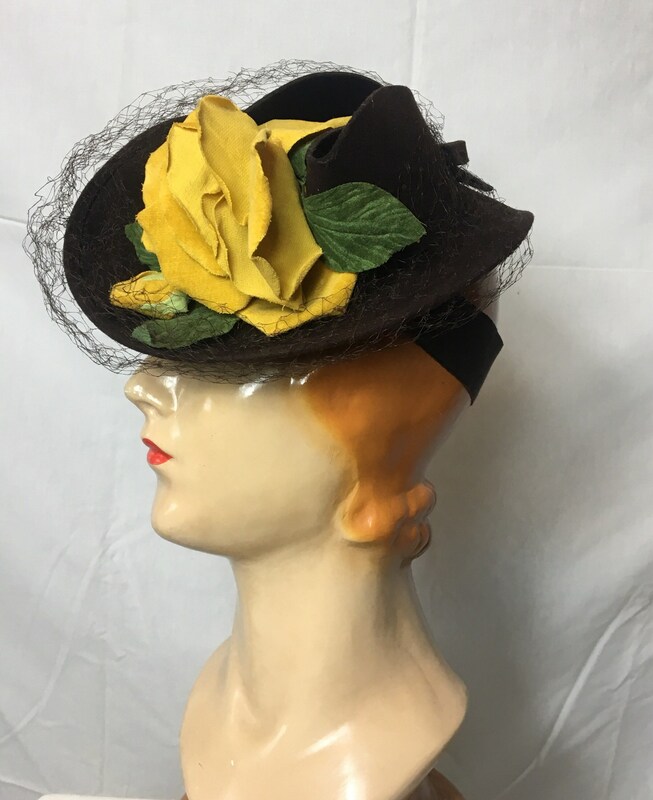 Most of the Hats date from the 1930s to the 1960s and this is a beautiful example from the 1930s. 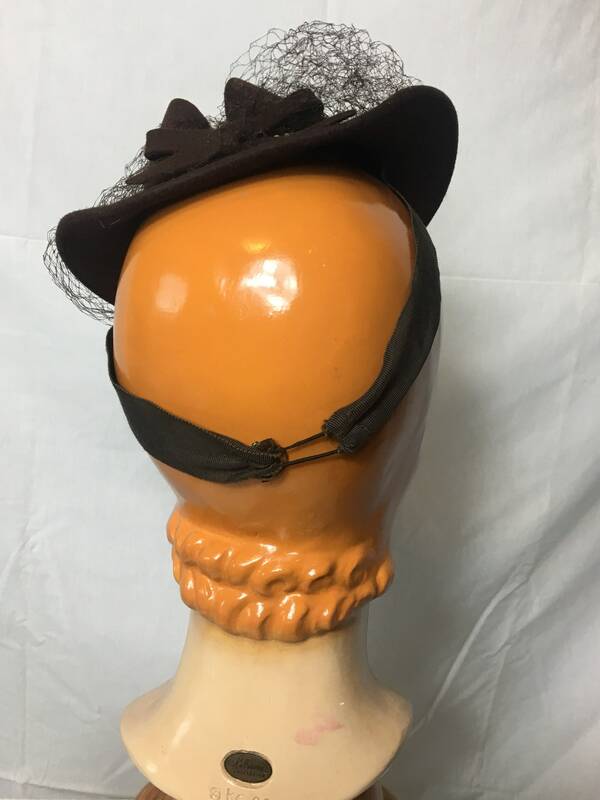 The hat strap says “adjustable size” but the band looks to fit someone with a size 22” head and should be shortened for a smaller head. 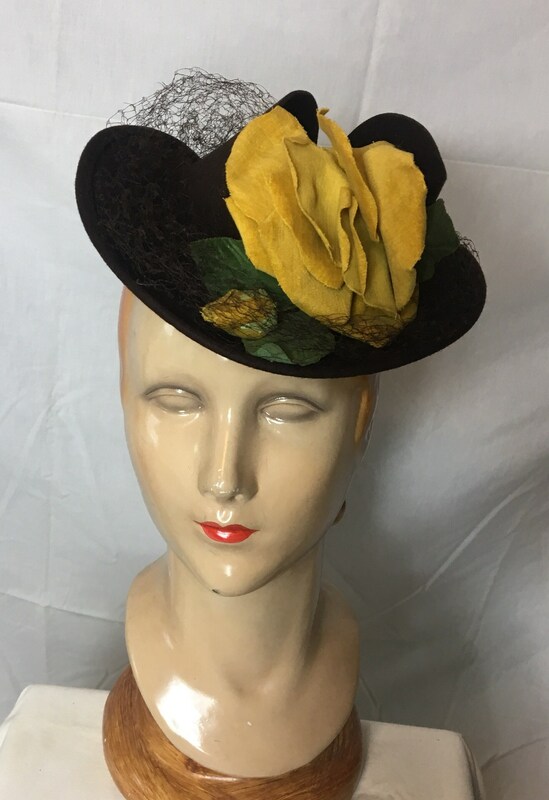 As can be seen, the hat is brown felt with netting on the front and has a large yellow flower on the top just to the side. 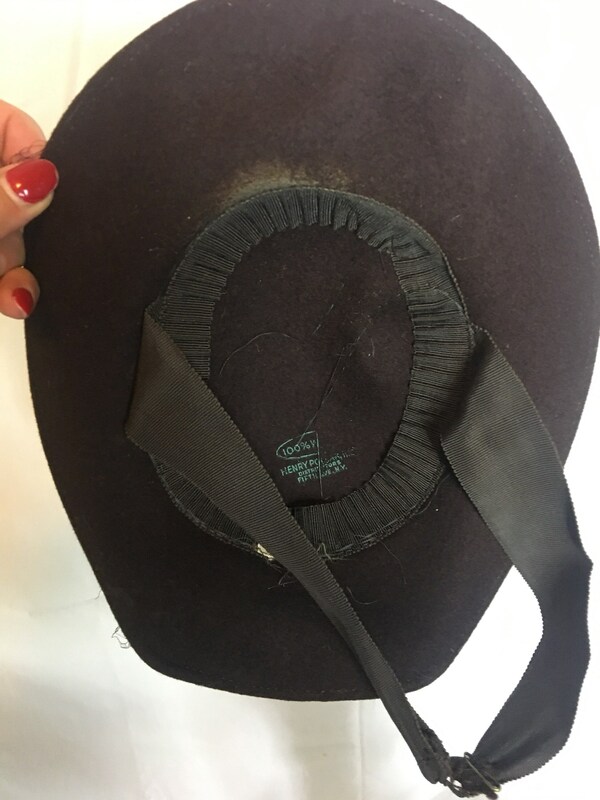 Under the brim there is a small worn out spot which can be seen in the photo. It is about an inch long. 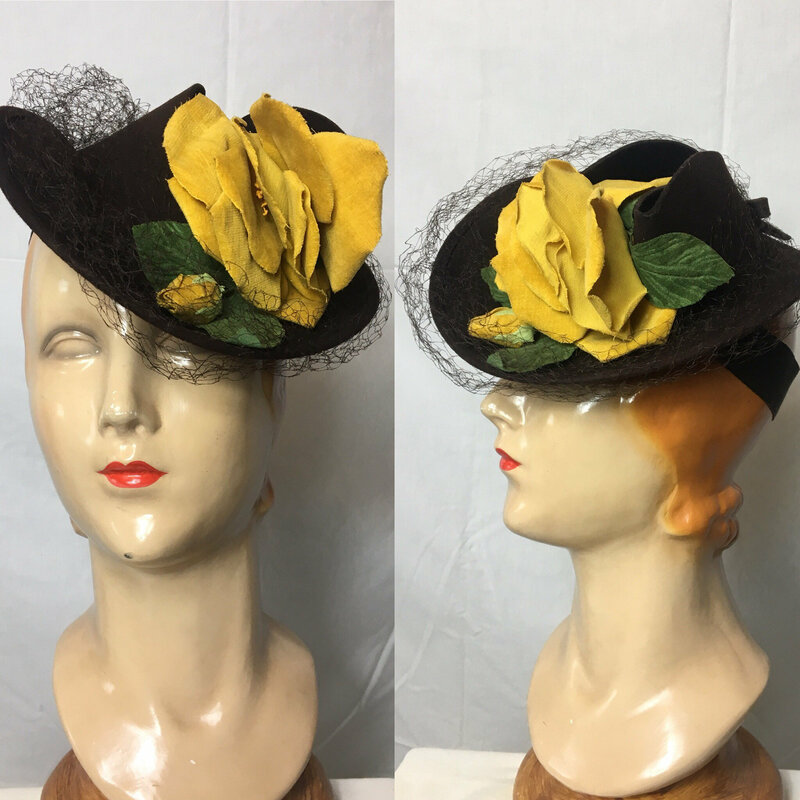 The flower shows the appropriate signs of age for a 1930s hat. I see no rips in the netting but it also shows appropriate signs of age. Price reflects the above-mentioned flaws.